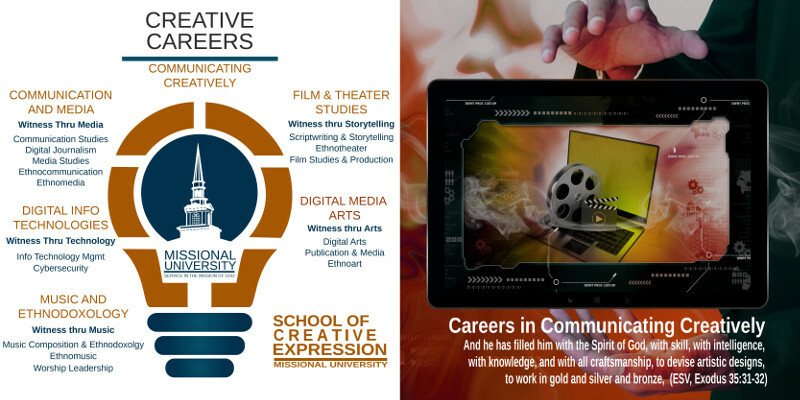 The School of Creative Expression enables Christian believers to communicate a gospel witness in various forms, media and styles to bring glory to God through service in the mission of God. 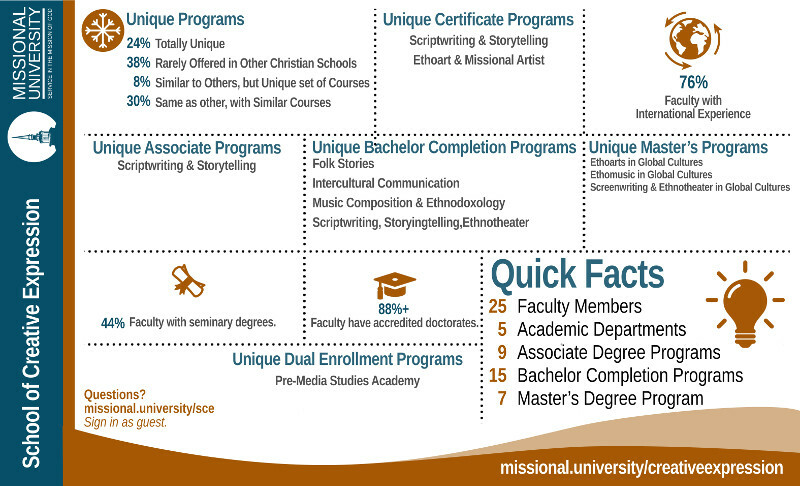 The programs in the School of Creative Expression equip missional leaders in foundational courses in a theology of beauty, storytelling, or media and communication and then adds practical courses in communication, media arts, music arts, theatre arts, information technology management and worship studies. Whether you need to learn how to use social media, multimedia, visual communications, graphic design, digital journalism or information technologies – Missional University will give you the tools to serve in secular and faith-based organizations as a Christian witness. Through music arts, you can be equipped in songwriting, ethnomusicology, and in leading worship. 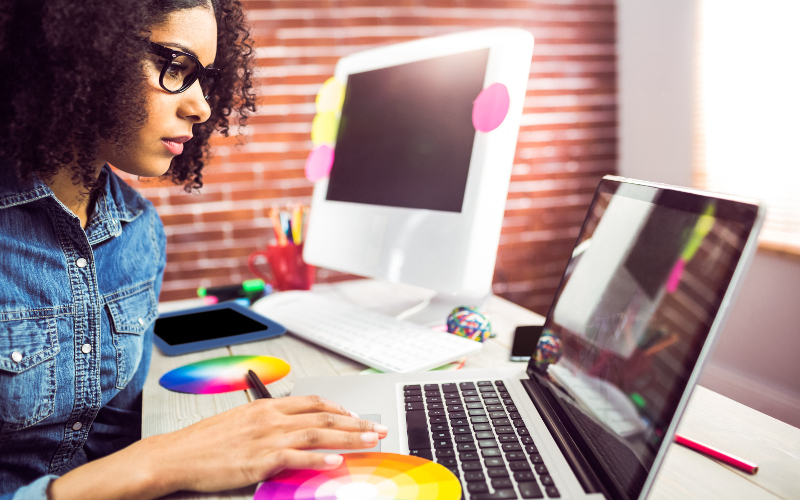 Through digital arts, you can be equipped in studio art, graphic design, 2D animation, 3D animation, animation visual effects, publication and print media. Creativity in the arts are extended through storytelling, theatre arts, and film studies and production. 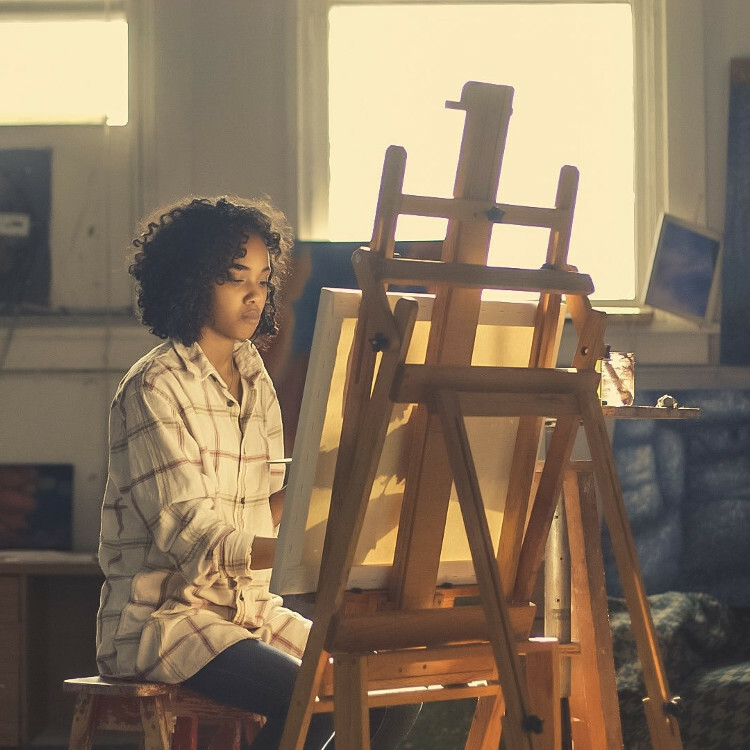 The School of Creative Expression has programs that lead to Certificates in Communication Studies, an Associate of Communication Studies, a Bachelor of Communication Studies (completion degree), a Graduate Certificate in Communication Studies, and a Master of Communication Studies. Communication studies at Missional University equip Christian believers to serve in the mission of God through using various communication media. The School of Creative Expression also provides certificate, Associate and Bachelor completion programs in Worship Studies.